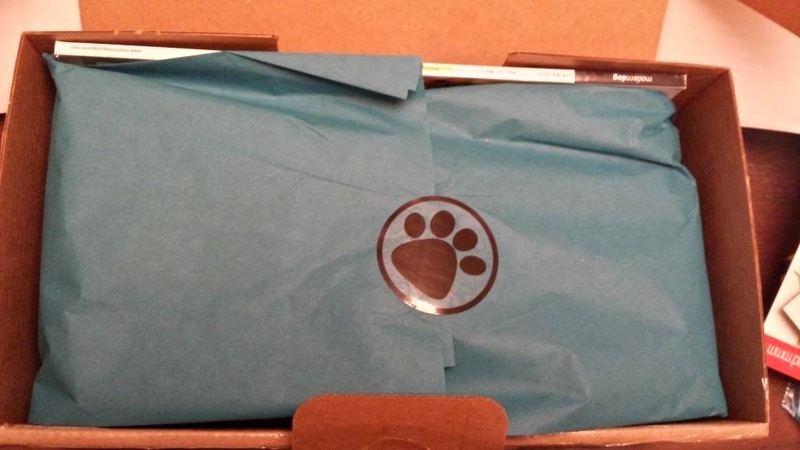 Paws and Play is a Canada-based pet subscription box program. 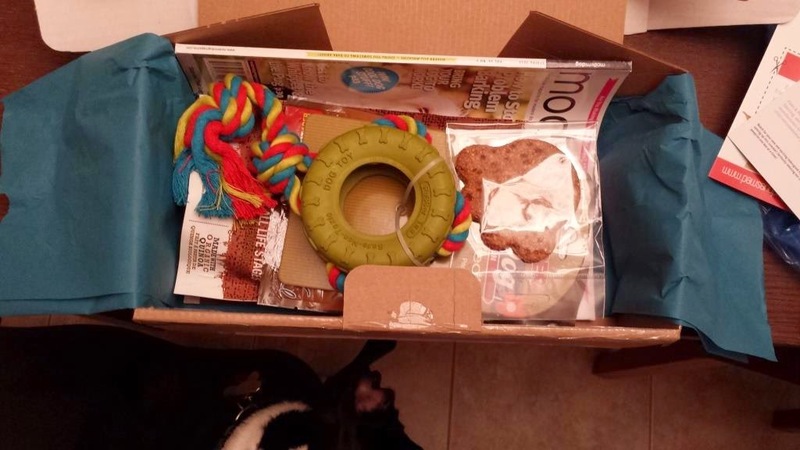 They offer subscription boxes based on dog size, offer boxes for cats or a subscription for a mixed pet household. There are one-off themed special boxes too. 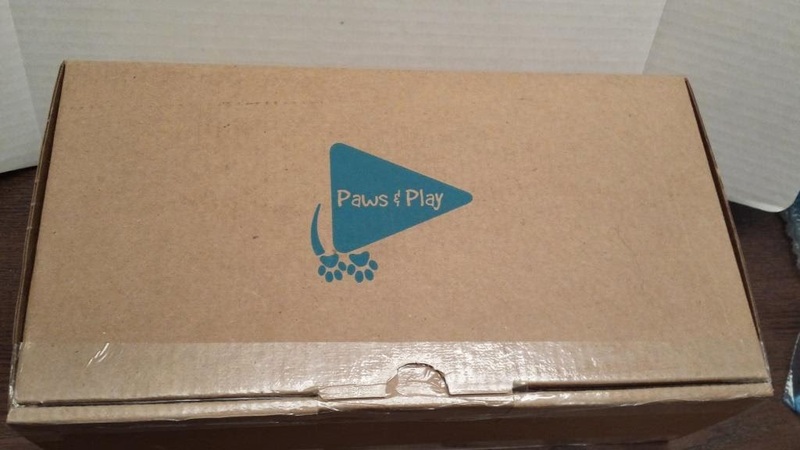 Paws & Play ship membership boxes on the date you are billed, rather than on the 15th of each month. 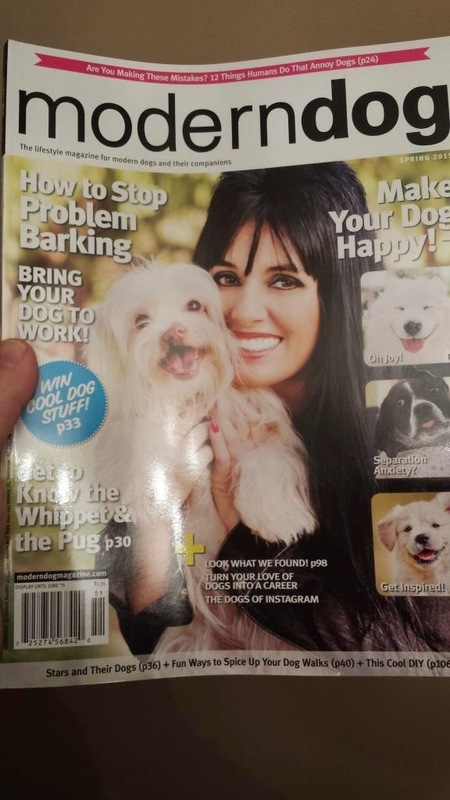 I am going to speak to my subscription called the Standard Large Breed Dog but it is no longer available on the website. This happened to my To Go subscription too. Cancelled without warning. My current subscription is $19.95 and the new offering (Premium) is $34.95 (monthly or quarterly). 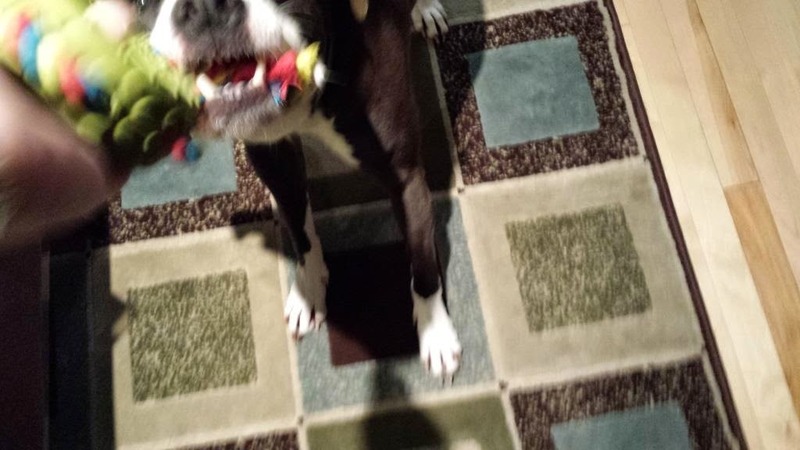 I emailed Paws & Play about my questions/concerns and got a really great response. However, the dilemma is whether I continue to review a box that is not available to new subscribers. Perhaps there is still value as you would get a sense of the value/quality of products they source. They have guaranteed that I will never have my current subscription cancelled unless by me. Grandfathered in I guess. What I will do is take what I received this month, plug it into the BYOB and compare as best I can. They offer free same day shipping to Canada and the US on all orders over $29.95. Whew - enough info for now. Let's get to the March Box. First up is Chomper Retro Tire Toss. Retails for about $12.95. 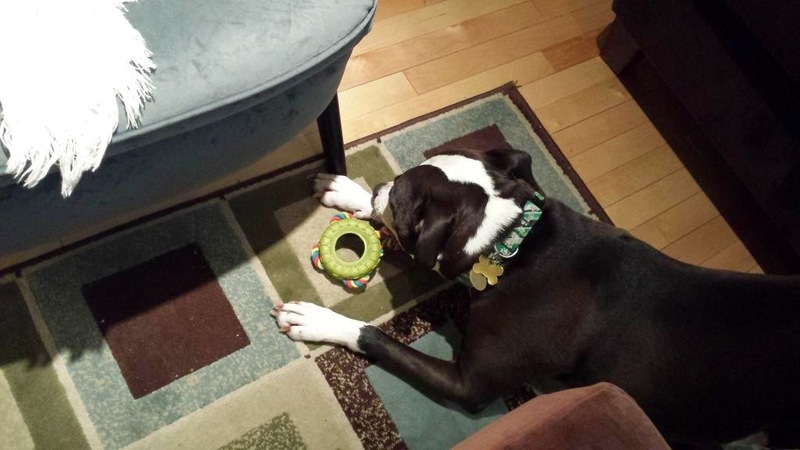 She like it right away and has not destroyed it yet! Huzzah!!! 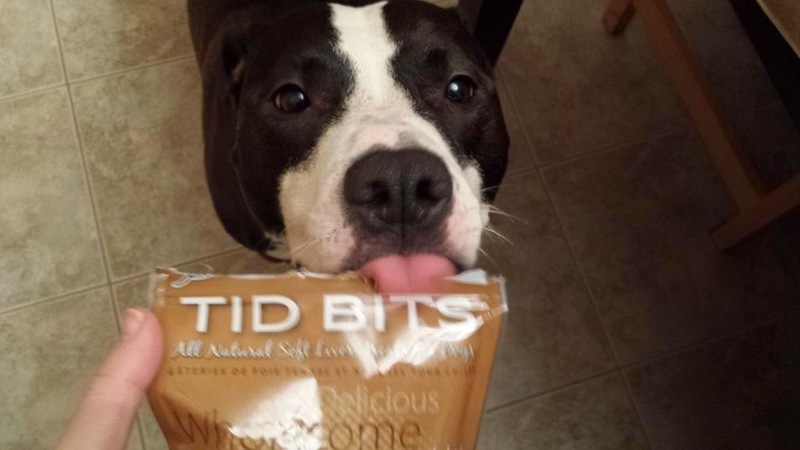 Next item is Waggers Peanut Butter Tid Bits. 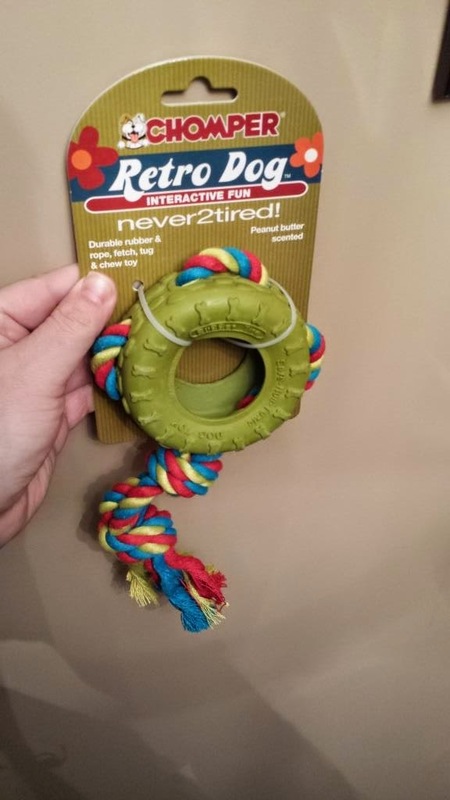 It retails for about $7.95. Was it a hit? You be the judge. Amelia Salmon Paws is a salmon flavoured cookie. Cost is approximately $1.95. 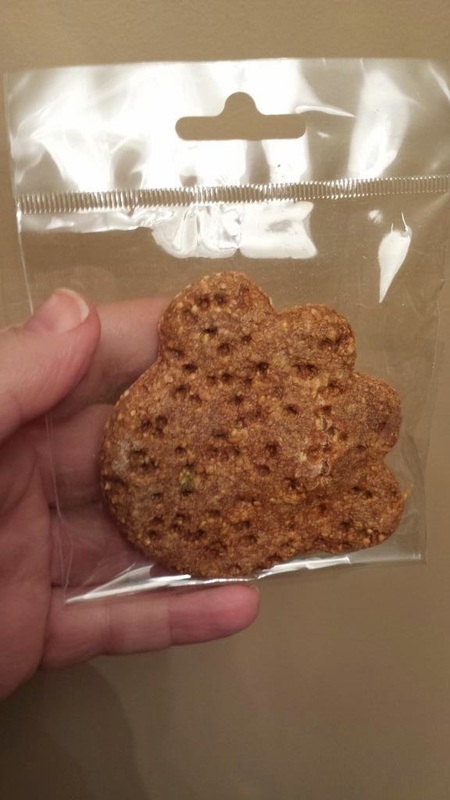 These cookies are hit or miss with the Goo. 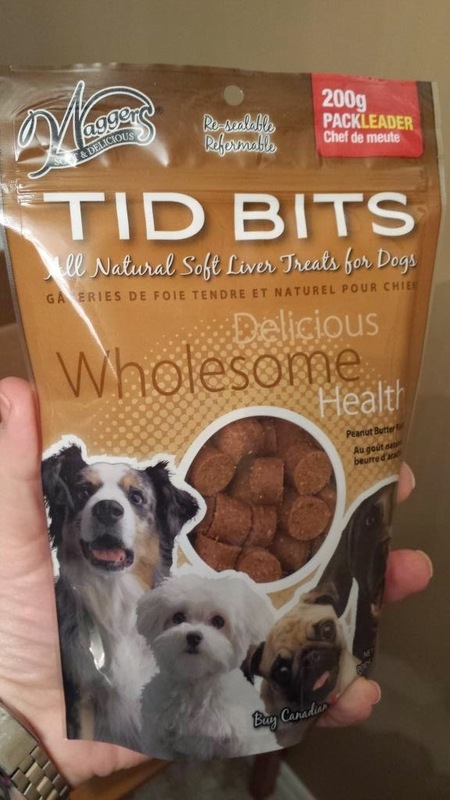 Good thing is, I usually gift them to a local animal shelter and they LOVE them! Finally is a item for Ma. The latest copy of Modern Dog Magazine. I like to read these when unwinding at night. 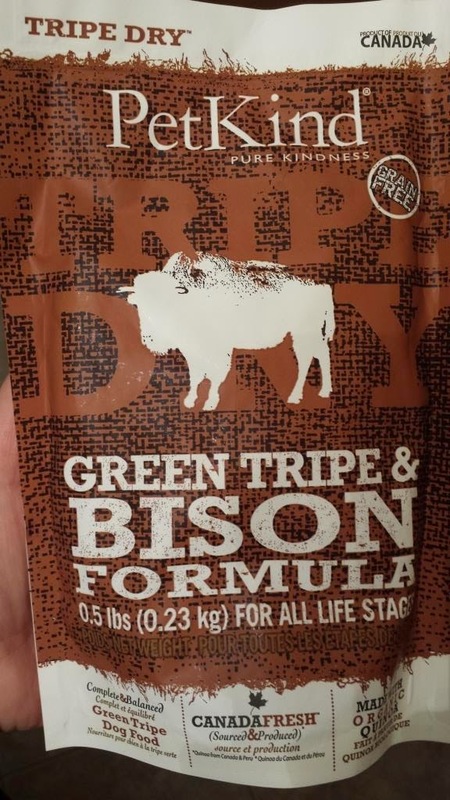 Also included is a sample of PetKind Tripe Dry Green Tripe and Bison Formula. A 6lb bag will cost about $21.99. Let me now take similar-like options and do BYOB for a large dog. Now the BYOB can be had with less expensive options but I was attempting like for like. What it highlights for me is how good the $19.95 value is - I don't mind surprises. BUT if you are someone who wishes to customize the box to the teeth and price is not a huge factor, the BYOB is for you. Looking to subscribe? 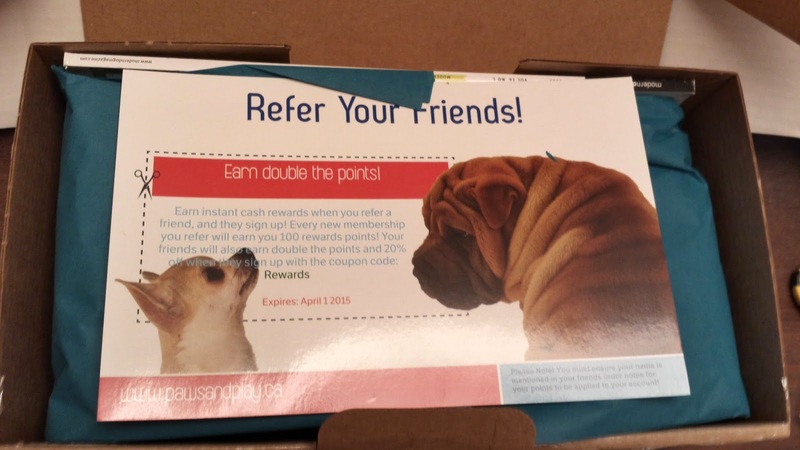 Get 50% off your first subscription with the code furball. They ship to Canada and the US.